The 'Over Ten years' Prefix -- Zero or "Oh"? 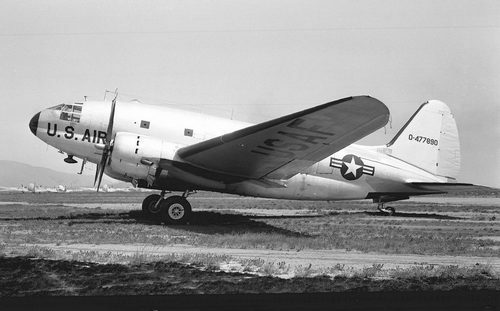 Curtiss C-46D Commando 44-77890 clearly shows the "oh or zero" prefix on the tail as "0-477890". The big question: is that prefix letter a zero or an "oh"? Photo taken at San Francisco, CA on 13 August 1955 by William T. Larkins. Click on the photo for a larger image. At first glance, the serial system used by the United States Air Force and the United States Army to uniquely identify their aircraft seems pretty straightforward. But not all is as simple as it seems. One aspect in particular continues to cause quite a bit of confusion, and sometimes even heated debates. This aspect is the "O-" or "0-" prefix which, as of 1954, was added to the tail number of aircraft older than 10 years. Many claim that this prefix symbol is the letter "O" (oh), and that it stands for "Obsolete" (or for "Over Ten" according to others). But then there are also people who say the prefix is actually a "0" (zero). Oddly enough, even knowledgable people such as established and well-known aviation authors appear to be divided over the issue, with some books explaining that the prefix is a zero, and other books that it is an "oh". This "oh" vs. zero difference may seem rather trivial to many, but in this digital day and age it most definitely is not. To a computer the letter "oh" and the numeral zero are distinctly different characters, and this distinction becomes important when searching for information using computers. Searching for one will not find the other. And as we all know, today computers are used to search for information very often. It is therefore important to get this right. So... who is right and who is wrong? Is this tail number prefix the letter "oh" or the numeral zero? Curtiss A-3A Falcon 27-315 shows how serial number information was applied in the old days, in this case during the late 1920s. Photo from Peter Bowers Collection. Click on the photo for a larger image. To explain why the prefix letter was introduced in the first place, we need a bit of history. If you already know all about the serial systems used by the USAF/USArmy and their predecessors, you may want to skip directly to the "answer" paragraph at the bottom of this page. 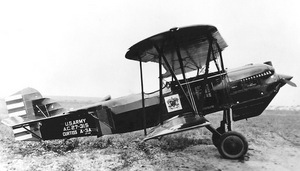 On 1 August 1907, the Aeronautical Division of the United States Army Signal Corps was established. This became the United States Army Air Service (USAAS) on 24 May 1918, then the United States Army Air Corps (USAAC) on 2 July 1926, then the United States Army Air Force (USAAF) on 20 June 1941, and finally the United States Air Force (USAF) on 18 September 1947. In the early days, every aircraft received a simple sequential number, aptly called the serial number. The first aircraft, a Wright Model A purchased in 1908, was brought on charge in early 1909 with the serial number 1. Initially all serial numbers were sequential, in order of purchase (which is not necessarily the order of delivery), but after a while certain serial number blocks were introduced. The 200 block was reserved for seaplanes, the 40000 block for experimental aircraft, and the 94000 block for prototypes and aircraft still under evaluation. Within each block, the numbers were still issued sequentially. As of 1932, serial numbers were no longer displayed in large sizes on both sides of the fuselage, but only in a very small size in the data block on the left side near the cockpit. 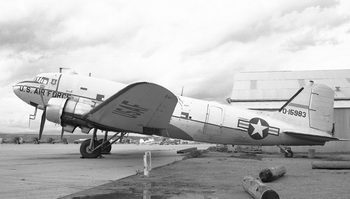 The tail code of this Douglas C-39 (DC-2), photographed at Oakland, CA in September 1941, signifies that this was the 20th aircraft of the 62nd Transport Group, but this is not enough to uniquely identify it. For that you would need to walk up close and inspect the data block below the cockpit. Photo by William T. Larkins. Click on the photo for a larger image. 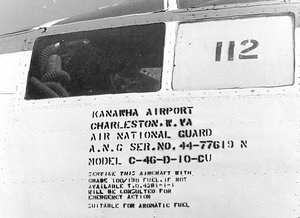 When painted on the aircraft, these serial numbers were often prefixed by "S.C." (for Signal Corps), "A.S." (for Air Service) or "A.C." (for Air Corps), depending on the name of the service at that time. However, these prefix letters were not part of the actual serial number and were dropped in 1932. On 1 July 1921, at the start of the US Government's fiscal year 1922, an important change to the numbering system was introduced. The numbers were still sequential, but they were now prefixed by the last two digits of the fiscal year in which the aircraft was ordered (and not when it was delivered!). This fiscal year prefix was officially called the base number. Also, for each new fiscal year, the sequence number would start again at 1. The first aircraft to carry the new style serial number was a Sperry M-1, serialled "A.S. 22-1". Prior to 1976, the fiscal year in the United States ran from 1 July until 30 June. This means that, as an example, the fiscal year 1942 started on 1 July 1941 and ended on 30 June 1942. As of 1976, the U.S. fiscal year runs from 1 October until 30 September. An unfortunate development occured in 1932. Before then, the aircraft serial numbers were clearly visible from a distance on each side of the aircraft fuselage, making aircraft identification easy. But the introduction of the Technical Data Block in 1932 put an end to that. The serial number was now no longer displayed in large letters. 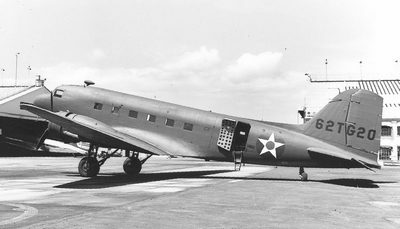 The technical data block was shown on the left side of the aircraft, near the cockpit, as demonstrated here by C-46D 44-77619. The letter N following the serial is the Aircraft Component Assignment Letter, which in this case signifies that this aircraft had been assigned to the Air National Guard. From about 1932 to 1941, this data block was often the only way to identify an aircraft. Photo by William T. Larkins. Click on the photo for a larger image. Instead, the serial number was reduced in height to a mere 2.5 cm (1 inch), and only displayed in what was called the Technical Data Block (TDB) on the left side of the fuselage, near the cockpit. Only the unit and base identification codes were now displayed in large letters on both sides of the fuselage or the fin. But with these being much less helpful than the actual serial number, uniquely identifying an aircraft from a distance had now become very difficult or often even impossible. For aviation enthusiasts the Data Block offered only one minor advantage to compensate for this: it not only shows the aircraft's full serial number, but also the exact aircraft model and sometimes the aircraft's home base and military component. Serial numbers in the data blocks often carried a suffix letter, as can be seen in the close-up photo on the right. This was the Aircraft Component Assignment Letter, which was not part of the serial itself. It signified the component of the US military to which the aircraft had been assigned. According to Technical Order (T.O.) 1-1-81 dated 15 August 1955, five letters were used: A = US Air Force, G = US Army, N = Air National Guard, R = Air Reserve, and T = Reserve Officers Training Course (ROTC). Earlier, the suffix letter M had been used for US Air Attache aircraft, but the use of this letter was officially dropped on 15 August 1955, with the publication of T.O. 1-1-81. The Data Block is still in use today, now officially called the Aircraft Data Legend, although by the early 1990s it was reduced in size even further (the letters are now only about 1.5 cm or 0.5 inch high) and moved to a new position near the ground refueling receptacle. Radio call numbers of not less than four numerals will be maintained on all AAF aircraft [...]. These will be applied to both sides or each outboard side, as applicable, of the vertical stabilizer and rudder assembly, except that on rotary winged aircraft, they will be applied to the sides of the fuselage. These call numbers, or designators, will be of a size discernible at a distance of 150 yards. The suggested minimum size is 8 x 12 inches. They will be derived by deletion of the first numeral of the serial number (4) and the hyphen (-), and the combination of the remaining four or more numerals. In case of serial numbers of type 41-7, use zero as necessary to make four numerals as 1007. Colors will be black for uncamouflaged surfaces, and yellow for camouflaged surfaces except that black camouflaged planes will have insignia red call numbers. Initially, tail numbers should have at least four digits, with additional zeroes added as required. 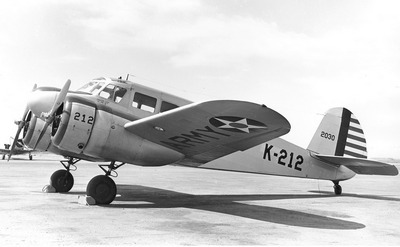 This is shown here by USAAF Cessna AT-17 Bobcat 42-30, which received tail number "2030" instead of "230", with one extra zero added to it. Photo taken on 9 May 1942 at Mather Field, Sacramento, CA, by William T. Larkins. Click on the photo for a larger image. Click here to see the relevant part of the original document. In plain English, the aircraft's unique serial number was now once again to be painted in a large size on each side of the vertical stabilizer. But it was now to be presented in an abbreviated form, officially called the radio call number, but referred to by most people as the tail number. This tail number should only show the last digit of the fiscal year, immediately followed by the sequential number, leaving out the fiscal year decade digit and the separating dash. Also, it should be at least 4 digits long (increased to at least 5 digits as of 1954), and to reach this length, additional zeroes had to be added in front of the sequential number. On 18 September 1947, the USAAF was separated into the United States Air Force (USAF) and the United States Army. The serial number system remained in force for both the Air Force and the Army, with only one small change. 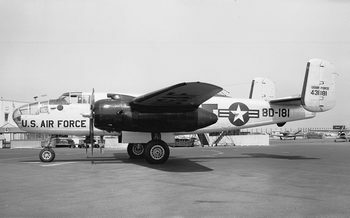 From now on the sequence number part of the serial number should always have at least three digits, which means that B-50A Superfortress 46-2 was no longer referred to as such, but as 46-002. 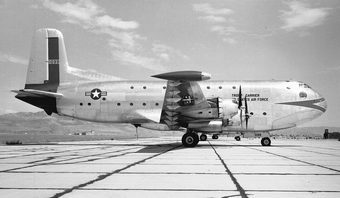 In 1958 this was changed again, now requiring at least four digits for the sequence number, meaning that C-124C Globemaster 51-099 now became 51-0099. This system is still in use today. Albatross 51-049 at Boise, ID, in August 1952, showing its correct 4-digit tail number 1049. Photo by William T. Larkins. Click on the photo for a larger image. To further clarify the above, here are some examples of actual serial numbers and their corresponding tail numbers, shown in the table below. As a reminder: the sequential number is the sequential part of the serial number (the part following the dash). Unfortunately there are many deviations from these official rules. Particularly difficult are war-time aircraft with tail numbers of 6 or 7 digits. Quite frequently, only the last four or five digits were painted on, which often makes proper identification of these mis-painted aircraft a challenging task. T.O. 07-1-1 did allow for an official exception to the above rules, applicable to camouflaged combat support aircraft. To enable aircrews to readily identify aircraft to their own unit or to other friendly units, these aircraft could be allowed to carry distinctive unit aircraft identification markings, which replaced the tail number as described above. When these special markings were applied, the tail number consisted of both fiscal year digits plus the last three (sometimes four) digits of the aircraft's sequential number. The fiscal year digits were applied to the aircraft in a smaller size than the sequential number, and would normally have the letters "AF" (for Air Force) above them. These aircraft would normally also carry an additional two-character unit code in a very large size on the tail fin. This explanation of the US serial number system needs to sidestep here for a moment, to explain another confusing issue. For many years the USAF and US Army serial number batches were intermingled. But in fiscal year 1966, the US Army decided to separate them by using the fiscal year prefix followed by 5-digit sequential numbers starting at 15000 instead of 0001 (e.g. 66-15000). As of fiscal year 1972, the US Army sequence number batches were allocated even higher, in the 20000-30000 range. Surprisingly, as of fiscal year 1984 the US Army again began allocating 4-digit sequence number batches in the regular USAF range starting at sequence number 0001, while at the same time also still using allocations in the 20000-30000 range. Some sources claim that the sequence numbers for these lower US Army batches were padded with an extra zero to create 5-digit sequence numbers (e.g. 87-00073 instead of 87-0073), and that this practice dates back to 1964, but after careful research no proof at all for this could be traced. In fact all photographic and visual evidence clearly shows otherwise: aircraft that show such padded 5-digit sequence numbers are extremely rare, and occur for US Army as well as USAF aircraft. This means that such occurances are due to painting errors, and not the consequence of any official system. The sole exception here are the recent Boeing CH-47F Chinook conversions with FY 2004 and later, which are serialled in a very unusual way. While all other US Army aircraft (rotorcraft and fixed wing) of those fiscal years carry their normal 5-digit tail numbers (sometimes shortened to only 3 or 4 digits), the CH-47Fs do not carry a tail number. Instead they are painted with their full serial numbers (i.e. not the tail number!) on their aft pylon. This full serial number is shown as it normally appears only in the Technical Data Block, including the full fiscal year and the dash, and it does indeed show a padding zero (e.g. 08-08049). The CH-47F is the only aircraft type painted in this non-standard manner, and the reason for it is unclear. As mentioned before, all other US Army aircraft from the same fiscal years carry their normal 5-digit tail numbers, so there does not appear to be any official system behind this. Aviation in general, and the aircraft themselves in particular, became more and more reliable as technology progressed. This meant that leaving out the fiscal year decade digit from the tail number became a bit of a problem: if an aircraft had been in service for ten years or more, another aircraft might receive the same tail number as the older aircraft. 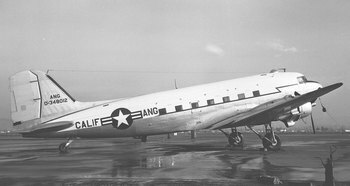 California ANG C-47A 43-48012 as seen at Hayward, CA on 1 February 1955. At this time this aircraft was older than 10 years, which is why its tail number 348012 is prefixed by "0-". Photo by William T. Larkins. Click on the photo for a larger image. "Where aircraft are 10 years old, there is a possibility that two sets of call numbers could be identical. To prevent this, the symbol 0- will precede radio call numbers derived from serial numbers which are 10 years old." "To avoid possible duplication of radio call numbers of new aircraft and aircraft at least 10 years old, the symbol 0- shall precede all radio call numbers on aircraft 10 years and older (i.e. 0-25123)." So, when the revision of T.O. 07-1-1 was released in 1954, C-54E 44-9114 saw its tail number changed from "49114" to "0-49114", making it possible for the serial number 54-9114 (and thus again tail number 49114, now without the prefix) to be issued for a new aircraft, should it be necessary. But did the revised tail number for C-54E 44-9114 read as zero-49114 or as "oh"-49114? Starting in the mid 1960s, tail numbers were very often applied to the aircraft with a maximum of only 5 digits, as demonstrated here by JC-47A 43-15983 at Hollister, CA on 11 March 1967. According to the rules from T.O. 1-1-4, this tail number should have read "0-315983". Such deviations from the rules became very common, and in certain cases they make proper identification quite difficult. Photo by William T. Larkins. Click on the photo for a larger image. To answer this question, we need to go back to the original Technical Order documents, as issued between 1954 and 1964. Fortunately, copies of the relevant parts of these documents can be found in the appendix of the book "Buzz Numbers" by Peter M. Bowers and David W. Menard. The book contains copies from T.O. 1-1-636 as well as from the newer T.O. 1-1-4, which both immediately answered the question. By comparing the symbol used in the official document to other zeroes and "ohs" elsewhere on the same page, it is completely obvious that the tail number prefix symbol is in fact the numeral zero, and not the letter "O". Click here to see the relevant page from the original T.O. 1-1-4 and judge for yourself. The use of the zero prefix, not an "oh", is also very apparent in the older document, T.O. 1-1-636. Click here to see the relevant part of this document. So, without any doubt, the symbol used is a zero, and it simply signifies that the aircraft is over ten years old. It is NOT an "oh", and it does therefore NOT stand for "Obsolete", something claimed by many of the "oh" people. On 24 April 1972, eighteen years after its introduction, the requirement for the "0-" prefix was dropped, with no reason given. The text was deleted from T.O. 1-1-4, and the "0-" prefixes were removed from the tail numbers during aircraft routine corrosion and paint periods. This means that today, with aircraft easily reaching a service life of 20 years and more, duplication of tail numbers is very common. This rarely leads to confusion, because it usually occurs for different aircraft types. The most striking exception to this are the U.S. Army helicopters, which very often have duplications for the same aircraft types. This may be the reason that the U.S. Army chose to re-introduce the "0-" prefix, and some UH-60 Blackhawk helicopters are now known to carry it again. For those interested, the 1998 version of the entire USAF Technical Order 1-1-4 can be downloaded here as an Adobe PDF file (5.5 MB download). 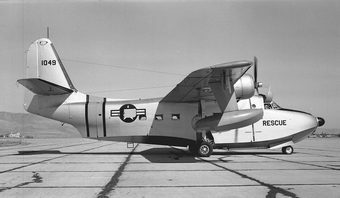 This TB-25N 44-31181, seen here at Oakland, CA in April 1955, is older than 10 years and should thus have had the "0-" prefix added to its tail number. Photo by William T. Larkins. Click on the photo for a larger image. The simplicity of the solution for the "oh" vs. zero problem makes it clear how important it is to rely on original information, taken directly from the source, and preferably from official sources. I therefore owe many thanks to authors Bowers and Menard for including copies of many original US military documents in their book "Buzz Numbers". "To avoid conflict between identical tail numbers issued ten years apart, the prefix letter O (oh), not 0 (zero), followed by a dash was added to the tail number (radio call number) of the earlier aircraft." The documents published in the appendix of the book clearly show this remark to be wrong. Other than that, it is an excellent book, and a must-read for everyone who wants to know all about the U.S. serial and buzz number systems. The book also has a very large number of interesting and rare photos, most of them forty or more years old.